I wish all my readers Happy Woman's day!!!! & Happy Holi !!! for all my friends who celebrate Holi today. Ghee - 1/4 tbsp + extra for greasing rolling pin and the foil or tray. 1. First grease the tray or aluminum foil with the ghee. Similarly grease the rolling pin which you’re going to use for flattening the chikki. 2. Warm the nuts in the dry pan. Let it cool. When it is cooled, roughly chop them and keep it aside. 3. Now heat the pan, add 1/4 tbsp ghee and let it coat the surface slightly. 4. Now add the sugar, when the sugar starts to melt and caramelize. It has to be light Amber color. 5. Remove from the stove/flame immediately add a pinch of baking soda and chopped nuts. Mix thoroughly. This has to be done very quickly. 6. Pour the mixture in the greased tray or foil. 7. Flatten it out using greased rolling pin to 1/2 inch thick. 8. When it is warm draw lines according to desired shape you need. 9. Once it is cooled break into pieces. 10. Store in the air tight container. 1. Use your favorite nuts and follow the same procedure. 3. The caramelized sugar is very hot so handle with care. 4. The steps from 5 to 8 has to be done very quickly as it tends to cool very soon. 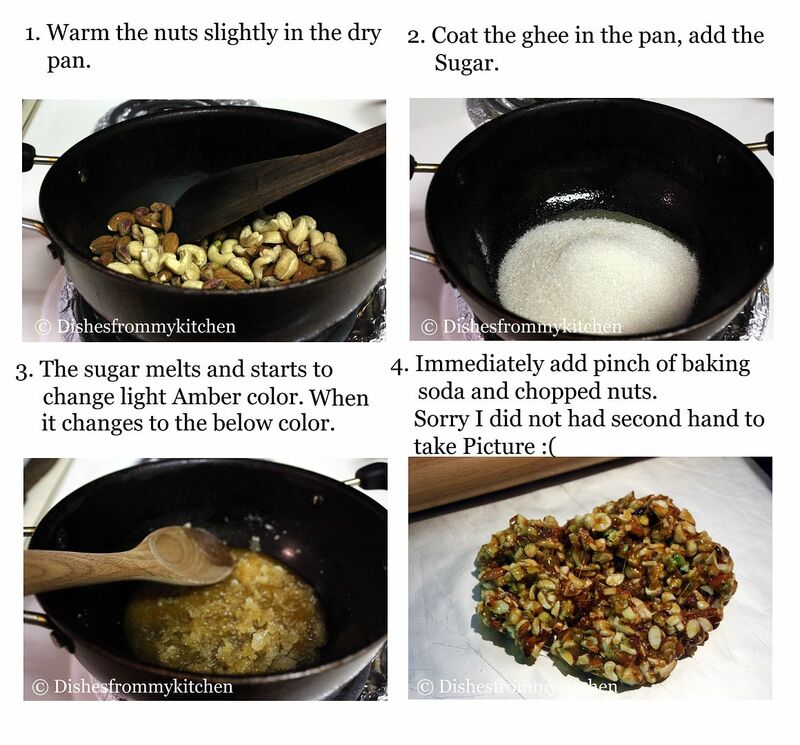 Then it will be hard time for you to mix the nuts and flatten them. Beautiful post!! Love the chikkis Pavithra, mixed nuts is fabulous! 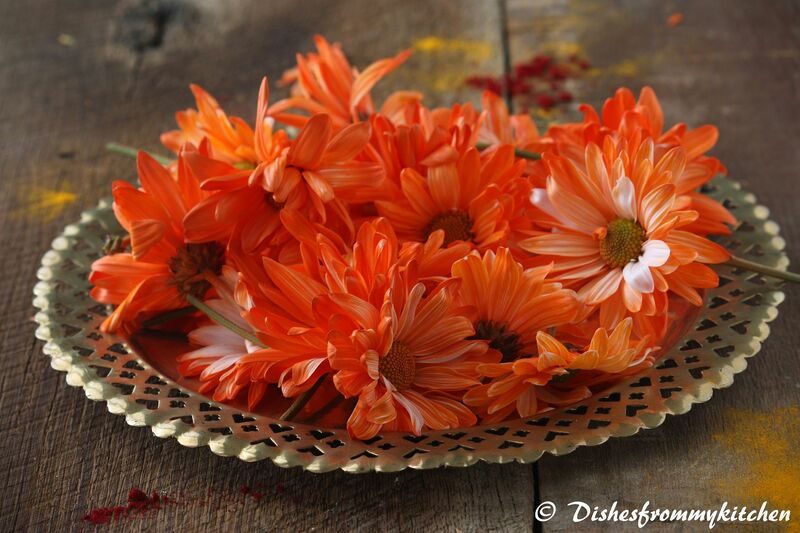 The orange flowers are soooo pretty, Happy Holi to you too!! Happy Holi and Women's Day to you too, Pavithra! Beautiful pictures and lovely recipe. This is one of my favourite sweets. Beautiful clicks and chikkis look perfect..Happy Holi and women's day to you too.. 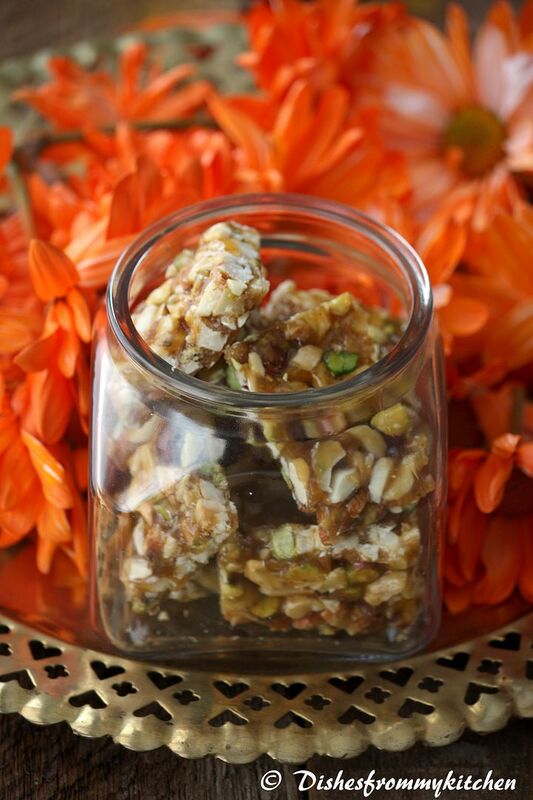 I always make peanut chikki with jaggery. nevr tried with sugar. I would like to give it a try. let you now how it turns. I love this a lot,chikki's looks perfect. Such a beautiful snack! Lovely. Chikkis look simply awesome. Pics are so great that I can almost touch them. I love these chikkis very much..I always keep a stock of it.. Colorful pictures for holi. Nice chikkis. Happy holi to you too. Lovely clicks as usual. lovely post been looking for one. lovely flower pic, liked the color. 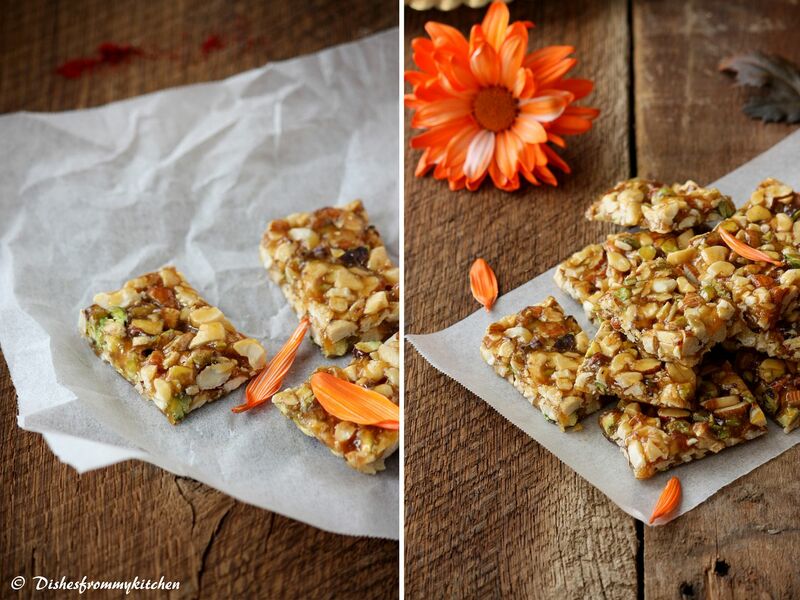 Chikki looks yummy. Happy Holi and Happy Women's day. Lovely. Never tried with sugar. And with jaggery, keep checking the syrup stage. This seems easier. And why the soda? 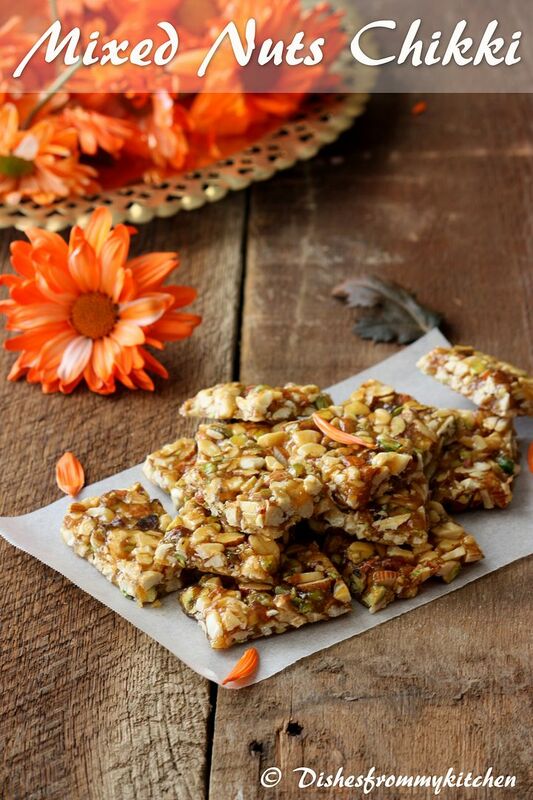 The mixed nuts brittle looks yummy dear. 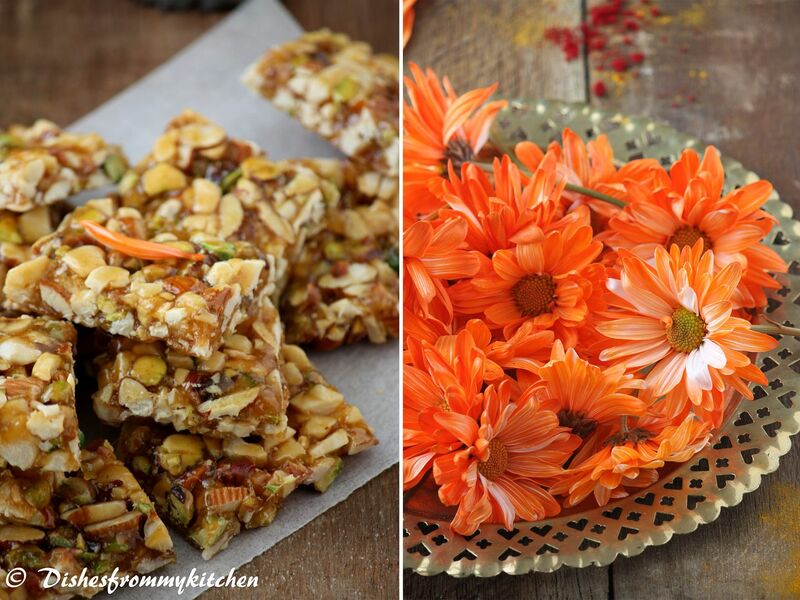 Wow lovely pos for holi...brittle has come put perfect..pretty clicks too! Lovely clicks and chikkis. Its a healthy delight. The hubby loves chikki but i never really made it at home. you make it sounds so easy! One question though .. why did you add baking soda ? 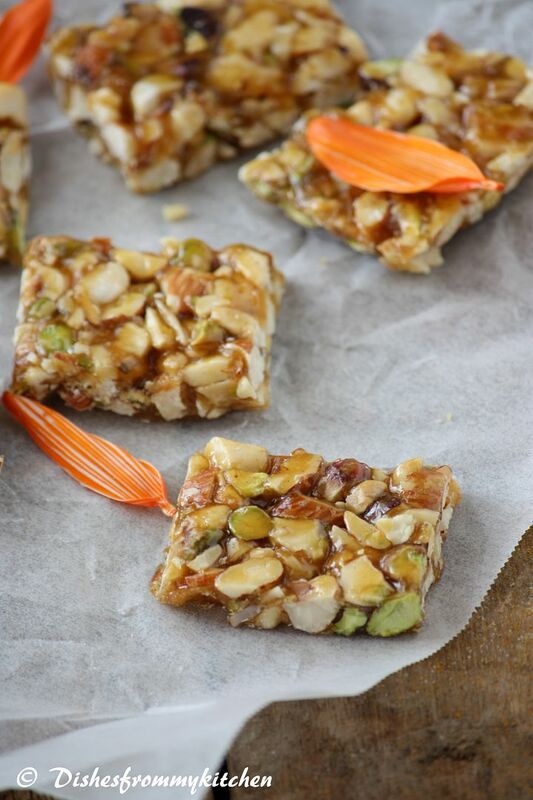 and I felt that it kind of gives you nice crisp texture to the chikki and also you need not struggle with your teeth while giving a bite. So last couple of times I added baking soda and found the difference. 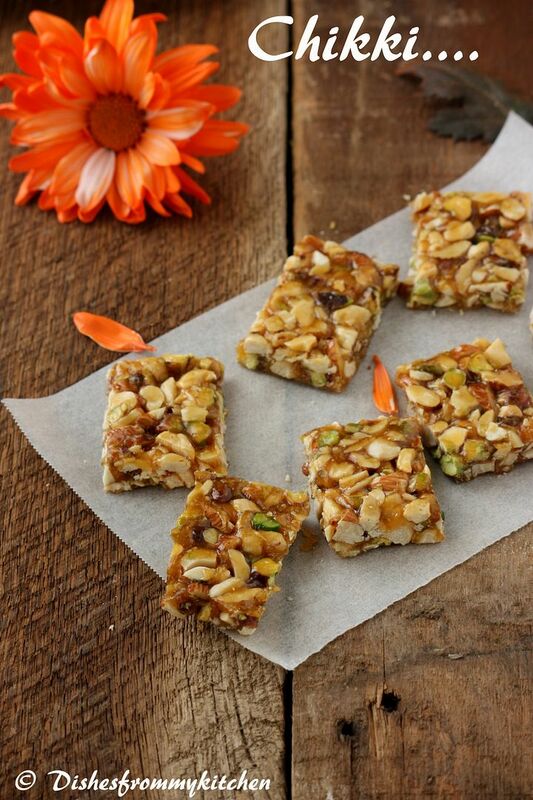 The chikki will just melt in your mouth. My all time fav. Perfect clicks for this holi. YUM!! 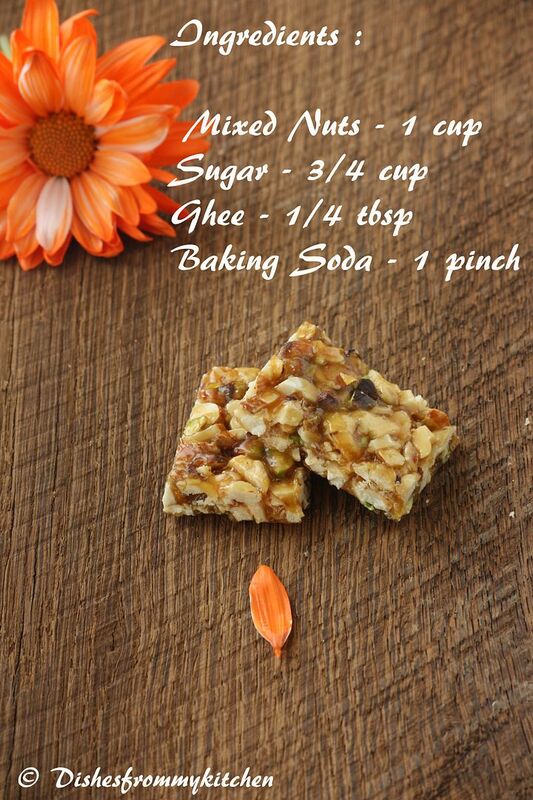 Very delicious and perfectly done chikki.loved the idea of adding baking soda..will try adding next time. awesome clicks!!! 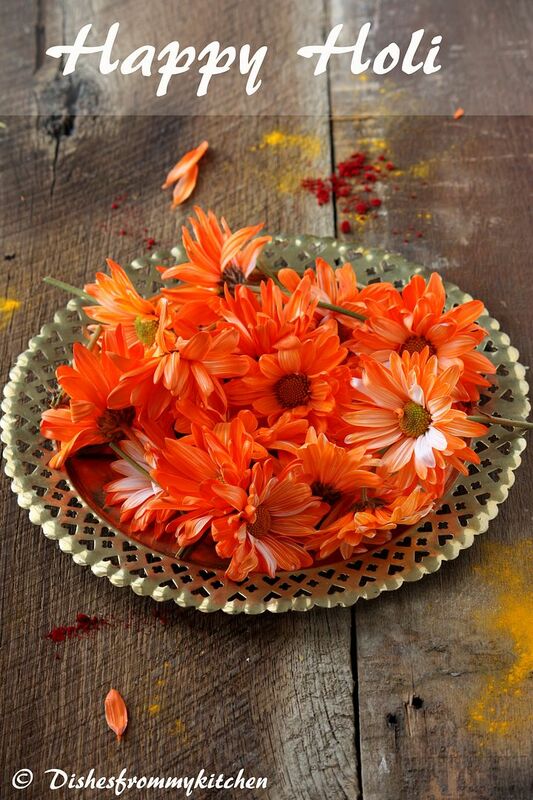 Happy Holi to you too dear..
Appadiye I want to hug your chikkis and the gorgeous orange flowers - so so pretty!